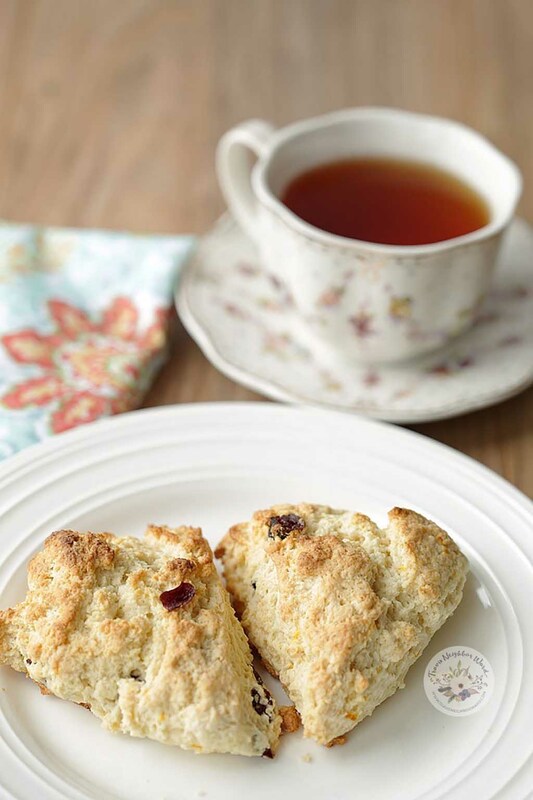 My husband Brian and I love these cranberry scones so much that it’s become one of our go-to recipes for brunch. They’re great at any time of the year, and on a cold day they fill the house with delicious aromas that make it so much cozier. 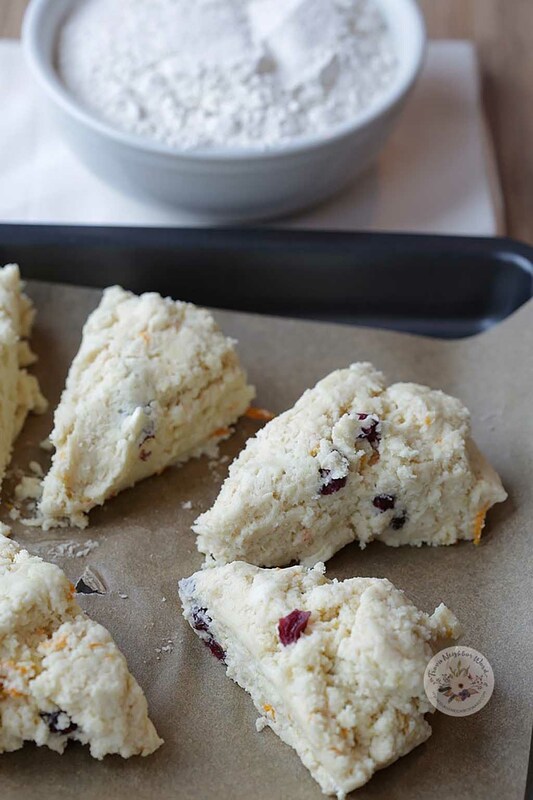 If you don’t particularly like dried fruit, you can also sub out the orange and cranberries with chocolate chips—the version my younger daughter loves best. The first step is to mix the flour, baking powder, salt, and sugar in a large bowl. Add the butter and knead it into the flour mixture by hand. In another bowl, combine the cream, vanilla, and egg, whisking until it’s beaten, then combine with the flour mixture using a large, wooden spoon. Add the orange peel and cranberries, and mix well. 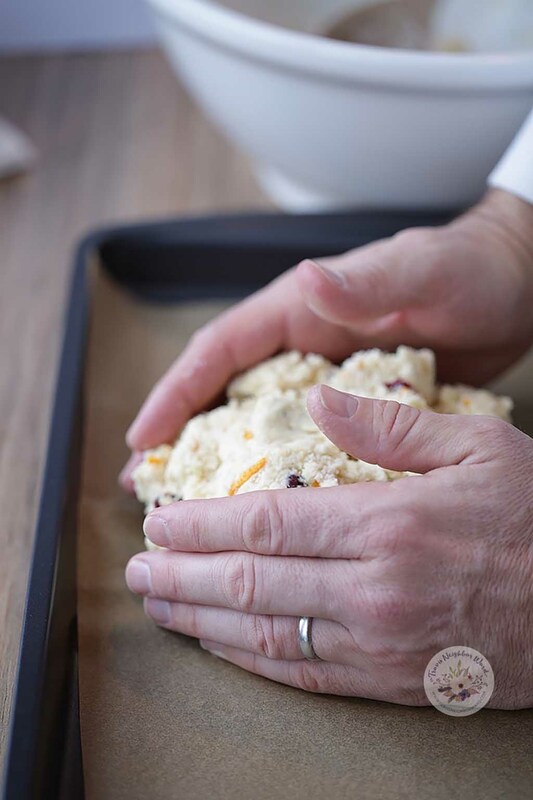 When the dough is ready, put it on a cookie sheet lined with parchment paper or greased with butter. Using your hands, shape the dough into a ball. 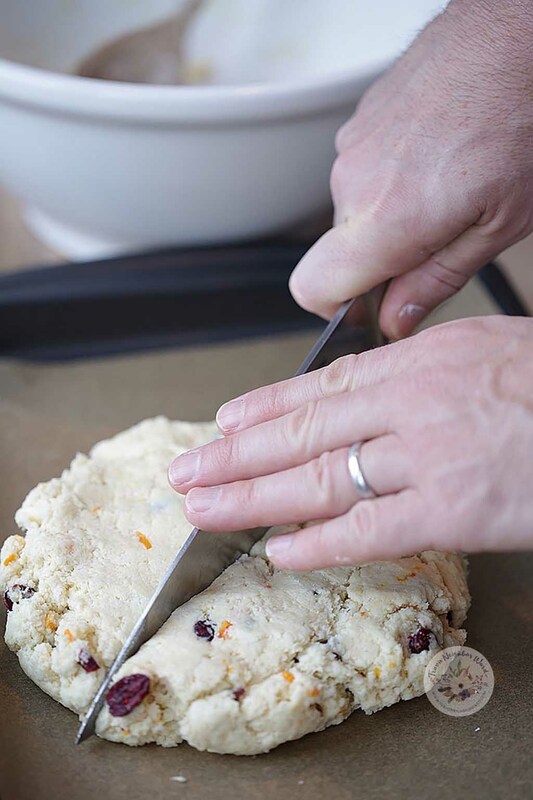 Flatten the dough with your fingers. 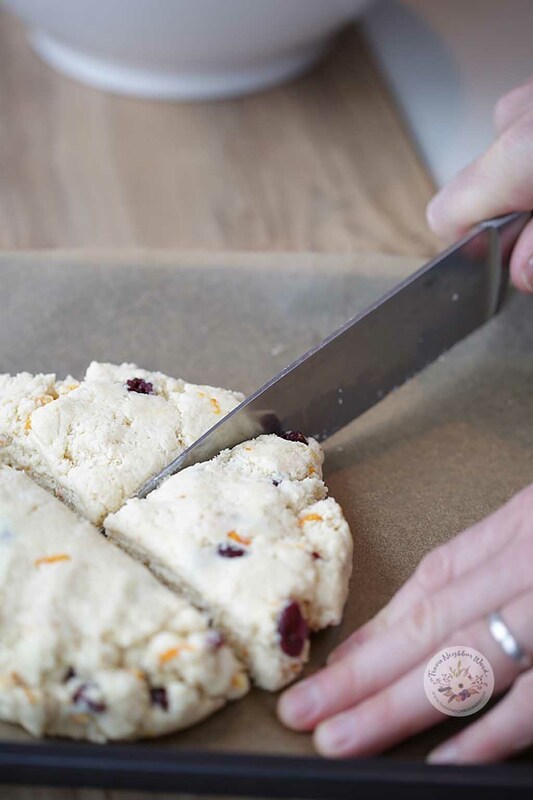 Using a sharp knife, cut the dough circle in half. Next, cut both dough halves into triangular pieces, each with a base that’s about 2 inches long. 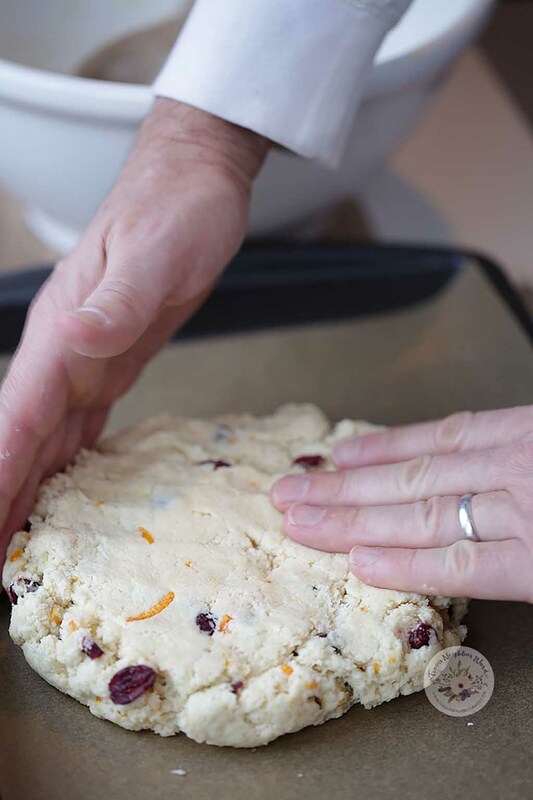 Arrange the scones on the cookie sheet so their edges aren’t touching. Bake for 15 minutes or until the top is brown. In my family, we love eating these with a glass of milk or a cup of hot tea. In a large bowl mix flour, baking powder, salt, and sugar. Add the butter and knead into the flour mixture by hand. In a separate bowl, combine cream, vanilla and egg. Whisk until beaten. Combine the egg with the dry ingredients. Add orange peel and cranberries. Put dough onto a cookie sheet either greased with butter or lined with parchment paper. Shape with your finger into a circular shape, flatten with the palms of your hands, and cut into eight pieces using a sharp knife. Adapted from a recipe by Alton Brown.